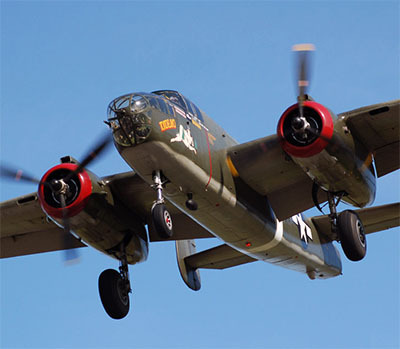 It is an unmistakable sound… two Wright R-2600 engines echoing through the sky as one of America’s most famous medium bombers, the B-25 Mitchell, soars through the skies over 50 years after its service life. Made most famous for the Doolittle Raid on Japan, the first American attack made on the Japanese mainland after the attack on Pearl Harbor. 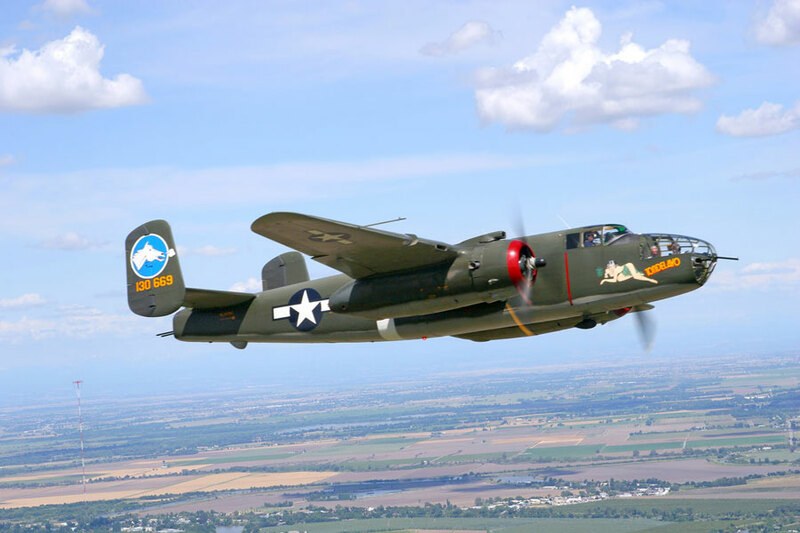 This famous raid saw sixteen B-25s take off from the aircraft carrier, the USS Hornet on a daring mission that brought morale back to America in a time of war. 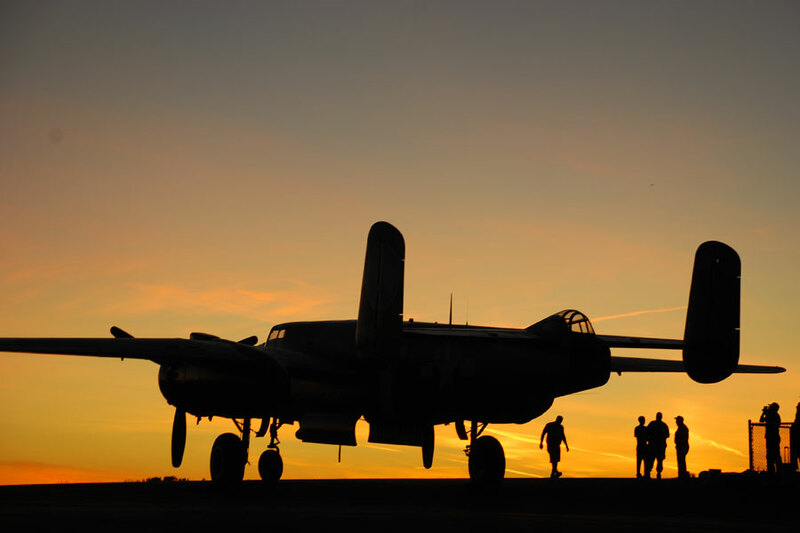 The B-25 was never conceived to fly off of an aircraft carrier, but it adapted… that’s what the B-25 was known for, adaptability under any combat circumstance. 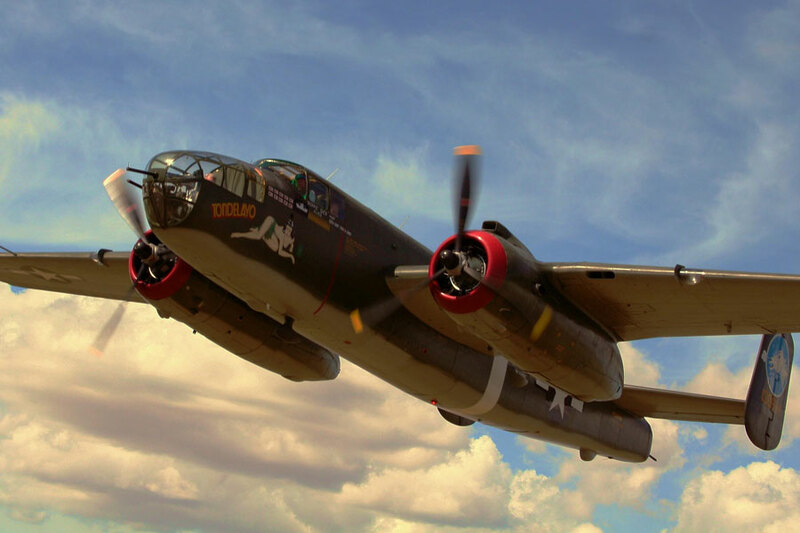 Today the B-25 “Tondelayo” is operated by Collings Foundation volunteers. It is available for viewing and flight experiences during our national Wings of Freedom tour and at specific events throughout the year.